In 2012, London became the focus of the world of sport for the Olympic and Paralympic Games. Today the Olympic Park is free to visit and there’s loads to see. 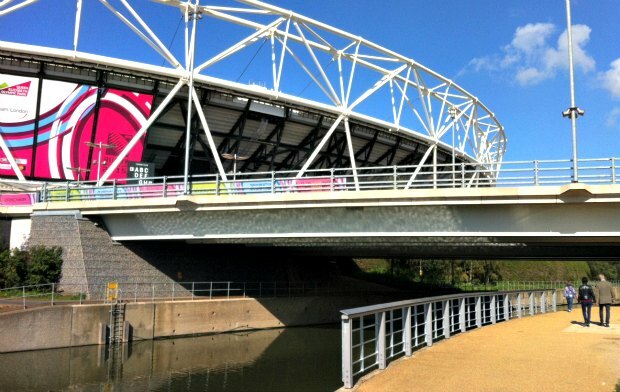 The park is now known as the Queen Elizabeth Olympic Park and it covers a huge area around the Stratford City development. All the main buildings from the games are still in place like the Olympic Stadium, the Velodrome, the Aquatics Centre, the Copperbox and the ArcelorMittal Orbit observation tower. Surrounding them is a network of canals and acre after acre of landscaped parkland to enjoy. There are also cafes and refreshment areas, a children’s play and a climbing wall. We enjoyed just walking around the park and seeing the sights, but you can spend more time here by using the facilities. The Olympic Stadium is now the home of West Ham United, but is also still used for other events like the Rugby World Cup held in 2015. 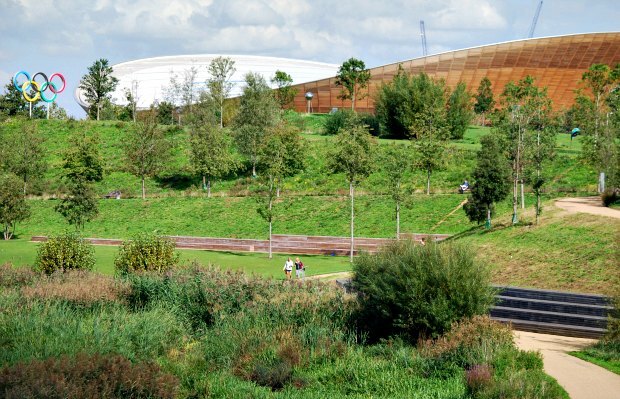 Swimming and Cycling championships are common place in the Aquatics Centre and Velodrome and the park itself also regularly holds events. As such, it’s worth checking before you visit that the parts of the park you want to see are actually open that day. 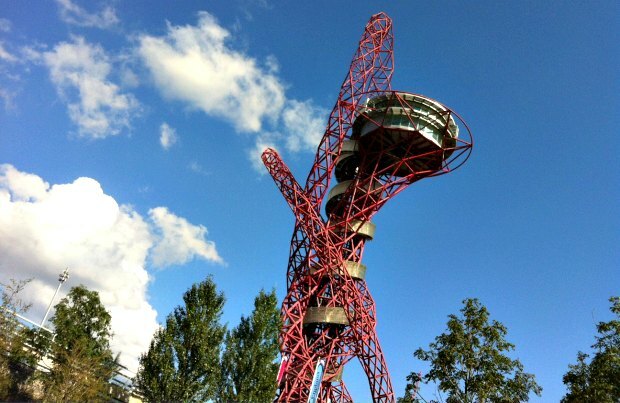 One attraction in the park that is rarely out of action is the huge ArcelorMittal Orbit sculpture which also acts as an observation tower. The views from the tower are great, offering a new way to see London! The tower is open daily from 10am to 6pm in the summer months and 11am to 5pm the rest of the year. Adult admission is £12 on the day (2015 prices) but discounts are offered for booking ahead. There are plans for a large slide in 2016. 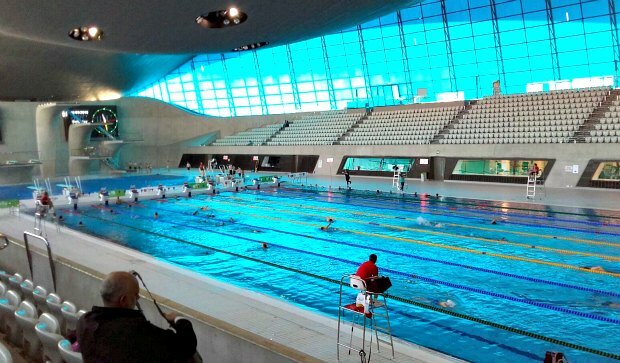 Meanwhile, if you fancy swimming in the same pool as your Olympic heroes, take a trip to the Aquatics Centre. Public swimming in the 50m pool is available regularly at a cost of around £5 (2015 prices). Alternatively, you can pay a small fee just to look inside. Unless there is a special event on, the Velodrome is free to enter and watch the track racing. The surrounding area now has many more cycle tracks and paths to enjoy too. In fact, cycling is one of the best ways to explore the park in general as walking around all of it will take a couple of hours. Stratford station is served by the DLR and the Jubilee Line of the tube along with National Rail and London Overground services. Stratford International station on the DLR is slightly closer.